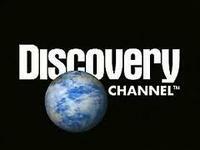 Discovery Channel Store offers Earth Day Blowout Sale! Lowest Prices of DVDS, no code needed. 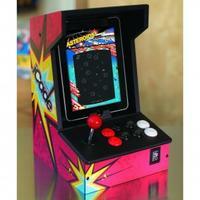 Discovery Channel Store offers Ion iCade Arcade Cabinet for iPad for $29 with free shipping. Discovery Channel Store offers up to 90% off over 200 items during its Winter Sale. Plus, coupon code "LOVE20" takes an extra 20% off sitewide, works with clearance items. Shipping starts at $6.95, free shipping on orders over $100. Discovery Channel Store offers the Tech Edge VGA Digital Camera for $4.99 with $6.95 for shipping. Features/Specifications: a 1" color LCD, 8MB internal memory, rechargeable Li-ion battery, 640x480-resolution pictures, USB connectivity, and more. Discovery Channel Store offersup to 80% OFF All Toys. Shipping is free with order over $100. The Discovery Channel Store offers 25% off entire site, including clearance items, via coupon code "CYBER25" during its Cyber Monday Sale. 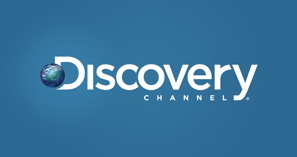 The Discovery Channel Store cuts 25% off entire site via coupon code "INSIDER". Plus, it stacks with sale and clearance items, which are discounted up to 85% off. Dealmoon recommends: the Discovery Ultimate Sky Kit (pictured; search for "spy kit" to find it) for $29.99 before coupon, $22.49 after with $6.95 for shipping. The Discovery Channel Store offers the 3-Foot Ultimate T-Rex Skeleton Model for $29.99. Coupon code "SAVEEXTRA15" drops it to $25.49 with $6.95 for shipping. The Discovery Store takes $10 off orders of $75 or more, $20 off orders of $125 or more, and $30 off orders of $150 or more via coupon code "PRESIDENT". The discounts stack with sale items, which are already marked up to 85% off. Shipping starts at $2.95 or free shipping on orders over $100. Discovery Store offers the Discovery Star Theater for $19.97 with $4.95 for shipping. The Discovery Store takes 10% to 80% off select items, including toys, DVDs, and more, during its Best of 2011 Sale, with prices starting at $9.99. Discovery Channel Store offers Cyber Monday/Week, Up to 70% off, plus flat rate shipping of $1.99 via coupon code "FLATSHIP". Offer ends 2011-12-04. The Discovery Channel Store takes up to 75% off select items as part of its Early Cyber Monday Sale. Plus, coupon code "FLATSHIP" bags $1.99 shipping on all items. Some exclusions apply. Offer ends November 28 at 3 am ET. A best bet is the Remote Control Go-Go Fire Truck (pictured) for $9.99 with $1.99 for shipping. 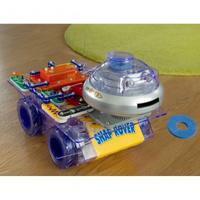 This toy truck features a bump-and-go siren and steering wheel remote. It requires one 9V and three AA batteries (not included). 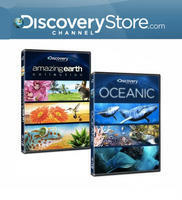 The Discovery Channel Store cuts 15% off orders of $100 or more via coupon code "FAMILY" during its Fans & Family Sale. Plus, it stacks with sale items, which are already marked up to 77% off. Shipping starts at $6.95. Some exclusions apply.